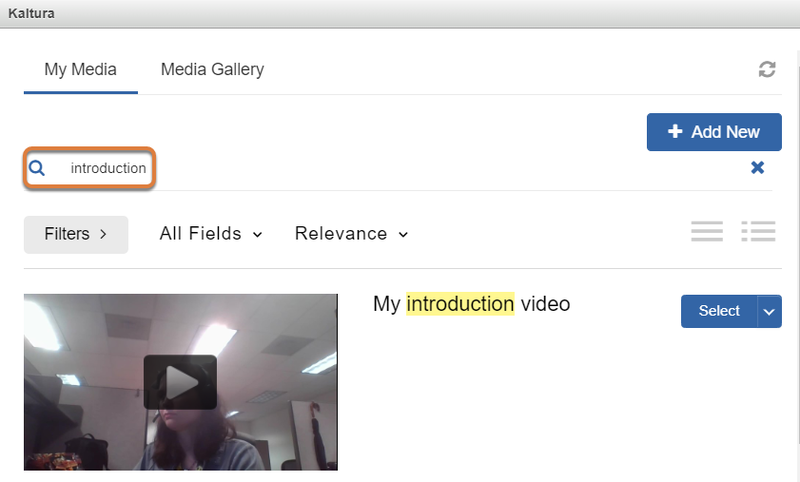 UVACollab HelpUVACollab DocumentationFor Students Media GalleryHow do I submit a Personal Capture video or audio file to an assignment or assessment? 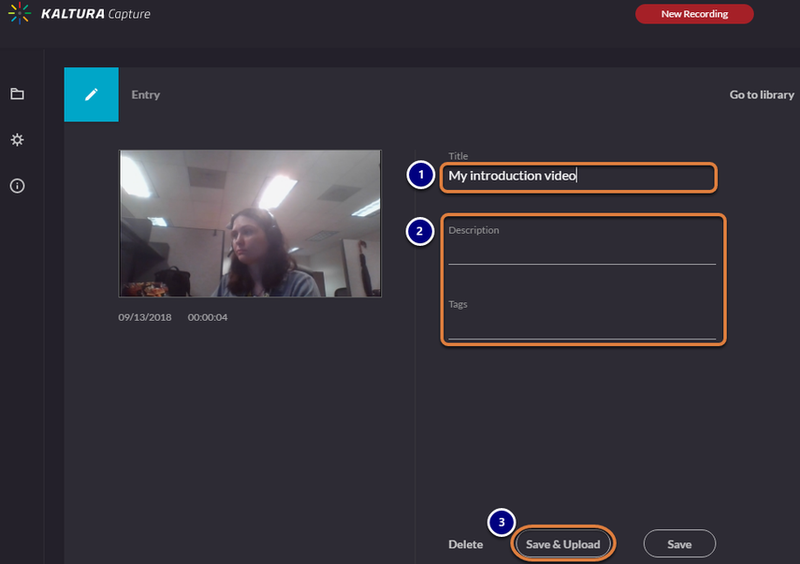 Instructors can create assignments or assessments where you may use Personal Capture with the Kaltura Capture software to record and upload a response. This article will demonstrate how to access Personal Capture via the Rich-Text Editor in an assignment and submit. The same steps work for an assessment question in Tests & Quizzes. Access the assignment to submit. Launch the Kaltura Capture software. Make your recording and upload it. 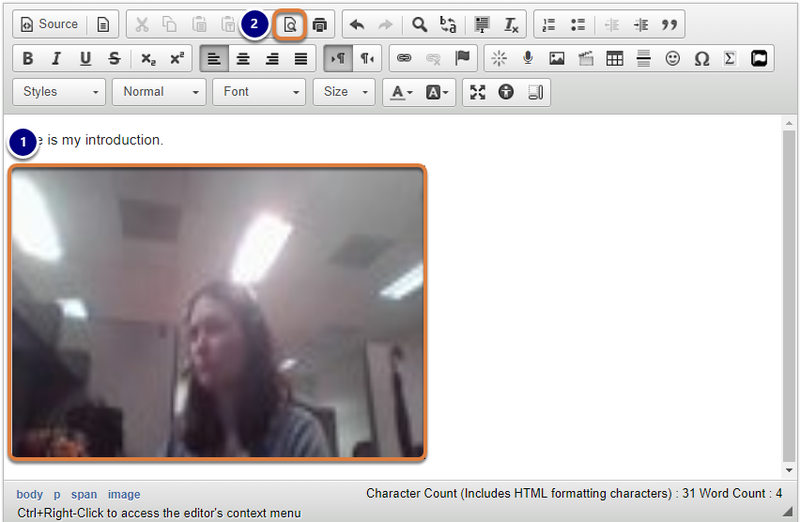 In the assignment, embed the recording in the Rich-Text Editor. 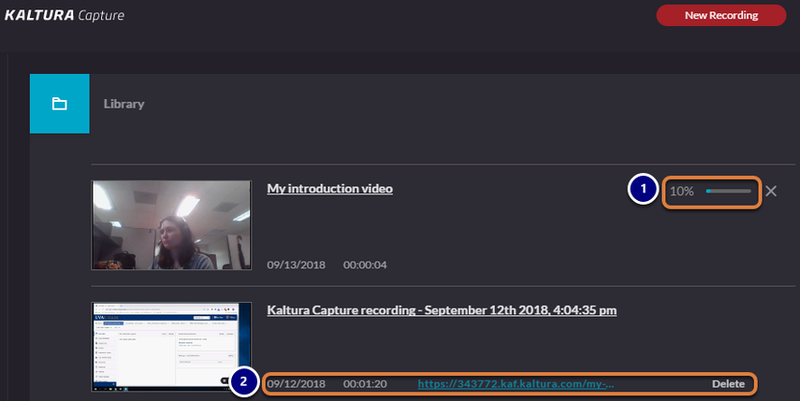 If the Kaltura Capture software is already installed on your computer, you can log into UVACollab, then open Kaltura Capture before accessing an assignment or assessment. After recording your video or audio file, follow the steps in How do I embed a Media Gallery file in the Rich-Text Editor? to embed it in your assignment or an assessment question. Navigate to the site where you will be submitting the assignment. 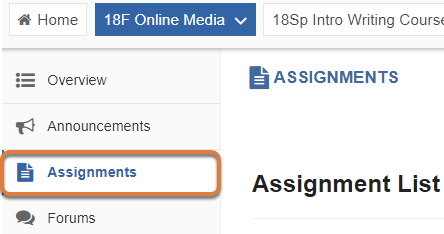 To go to the site with the assignment you need to submit, select the site's title in the favorites bar at the top of the screen, or under My Sites. Go to the tool where the assignment is located. Select the tool where you will submit your recording, for example, Assignments, from the Tool Menu in the site. Access the assignment where you will submit the recording. 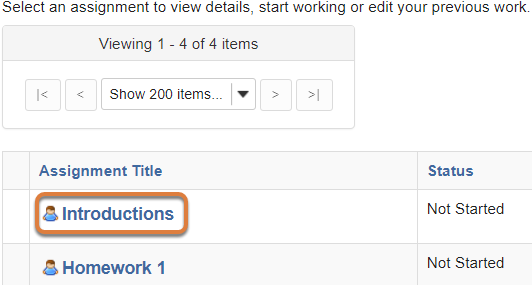 Select the title of the assignment where you will submit the recording. 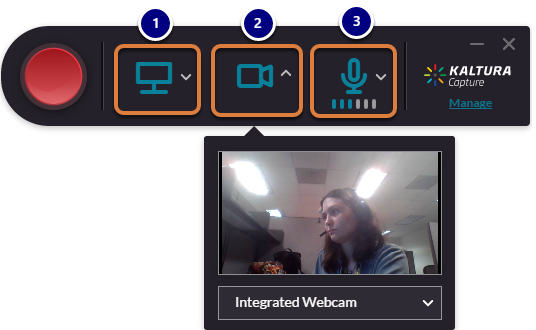 Review the requirements provided by your instructor for what to record. Select the Kaltura icon in the Rich-Text Editor. The Kaltura icon looks like a sun or star burst. Select Add New, then Personal Capture. The Kaltura window will pop up where you can select a media file to add. Select the + Add New button. The Kaltura window will display a message about The Kaltura Capture Desktop Recorder. The Kaltura Capture program needs to be downloaded and installed on the computer you are using. 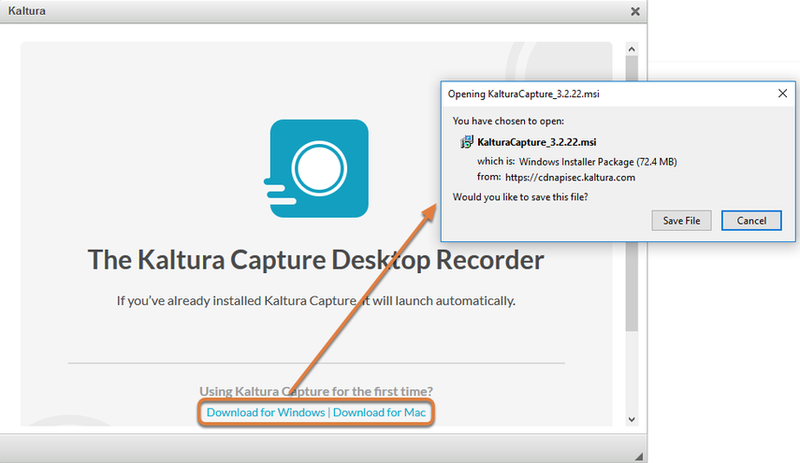 If Kaltura Capture is already installed on your computer, it will open automatically. If Kaltura Capture is not installed on your computer, install it. If it is not yet installed, select the Download for Windows or Download for Mac link to download and install it. Note: If this is the first time you are using Kaltura Capture, after downloading and installing the program, you may need to close the Kaltura window that is open, then to launch the software, repeat the steps above starting from Select the Kaltura icon. Select what to record (Optional). Your microphone, capturing your audio. Turn off, preview, or change recording sources. Select a source (screen, webcam, or microphone) to turn it off. Disabled recording sources will appear with a gray icon with a slash through it. If you mouse over a disabled device or use a screen reader, it will indicate that the recording source is not available, e.g., No available screen or webcam. 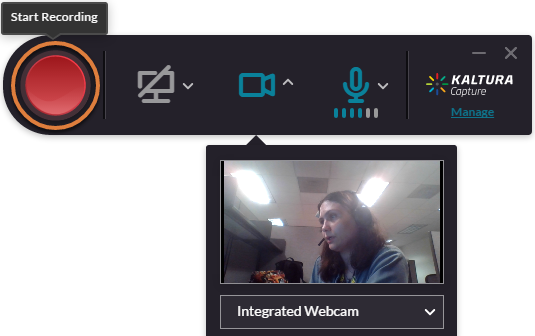 For a screen or webcam, select the arrow icon (Open Preview) to the right of a recording input to display a preview of what will be recorded. If you have multiple screens or cameras connected to your computer, a drop-down menu will also be available underneath the preview to change the recording source. For audio recording, select the arrow icon (Select Source) to access a drop-down list of recording sources. For example, you might select a headset to record audio instead of a laptop's built-in microphone. When you are ready to record, select the Start Recording button. The Start Recording button looks like a large, red circle. Select the Stop (white square) button. Select Yes, Stop it to confirm. Save and upload your media file. 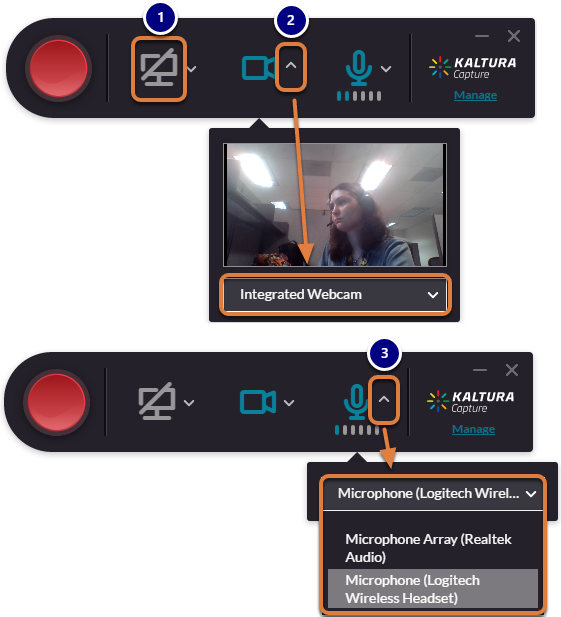 The Kaltura Capture window will display a thumbnail image of your new recording. By default, the recording's Title will be Kaltura capture recording with the date when it was recorded. It is recommended that you edit the Title to make your audio or video file easy to find. Your instructor may have provided instructions for this. Select Save & Upload to upload the file to My Media. My Media is found in your UVACollab Home site. Note: Uploading the file from Kaltura Capture will not make it available to your instructor or other students in a course site automatically. Because the file is saved in your personal My Media, you will need to take additional steps to make it available to others after it is uploaded. Wait for the upload to complete. A progress bar in the Kaltura Capture window will indicate that the file is being uploaded. Once the file is uploaded, the progress bar will disappear. A link to the video and an option to Delete it will display. Go back to the internet browser window where your assignment was open. 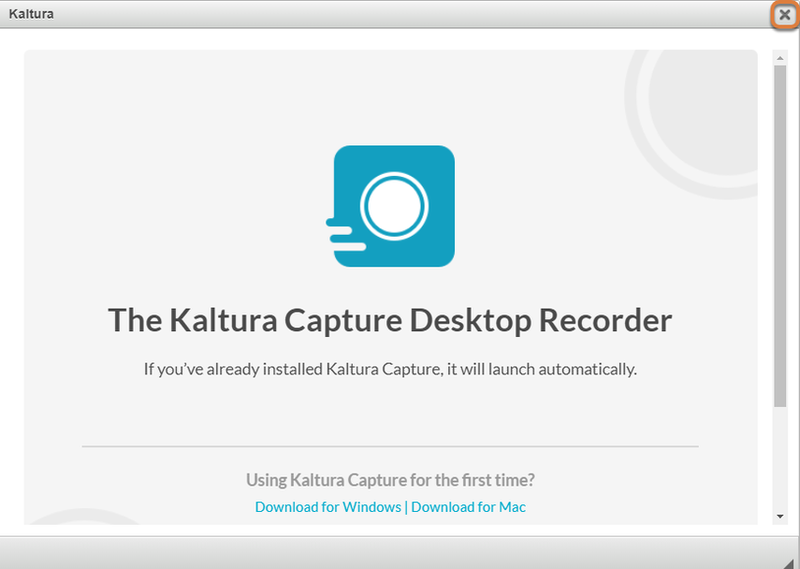 If the Kaltura window is still displaying The Kaltura Capture Desktop Recorder message, close the Kaltura window. In the editor, position your cursor where your recording will go. Select the Kaltura icon again. Locate the audio or video file to submit. It may take a few minutes after uploading a media file for it to display automatically in My Media. To find it more easily, enter part of the Title you gave the file in the search bar and hit Enter or Return on your keyboard. Use the Select button to the right of your media file to add it to the editor. A thumbnail image will display in the editor at the location of the embedded media item. 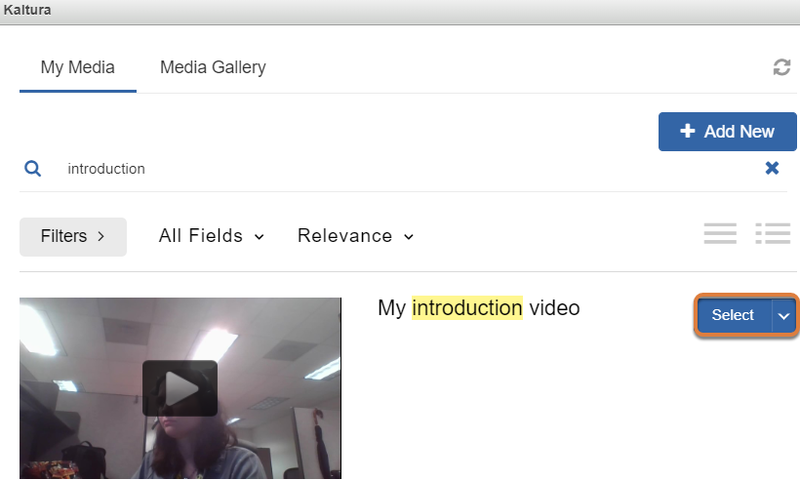 Select the Preview button in the Rich-Text Editor to preview your video in another internet browser tab or window. The Preview button looks like a paper with a magnifying glass. Save or submit the assignment. Do not forget to Submit your assignment, or select Save Draft to continue working on it later! Prev: How do I embed a Media Gallery file in the Rich-Text Editor? Next: How do I upload an image or video to My Media from a phone or tablet?